Now that the dust has settled with the latest round of updates for my Nokia Lumia 800, I thought that it was time to blog about the update experience. This is in line with my previous posts on the subject, and it is more a record for myself, than for anything else. 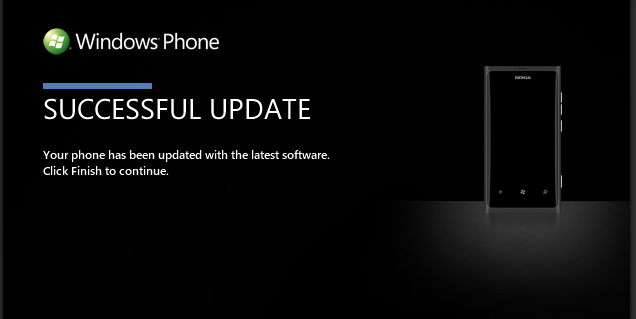 There was a lot of discussion about this set of updates, especially following the announcements regarding Windows Phone 8, and the fact that there was no upgrade path from a Windows Phone 7 device, and what if anything, we were going to be getting from this update. 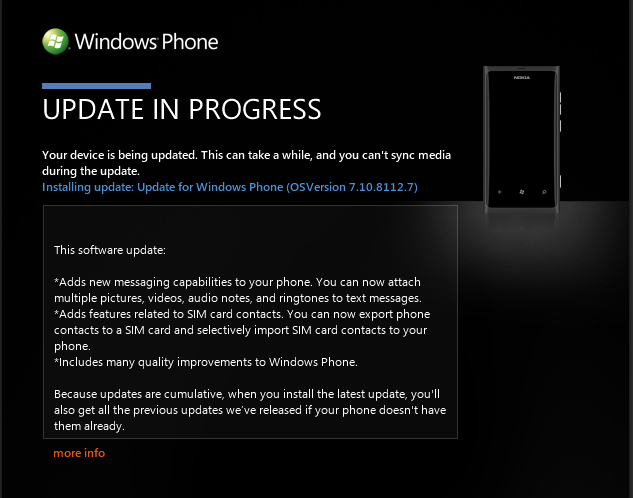 A lot of people thought that this update would include the new Windows Phone “Start Screen”, but this isn’t the case. This update is the so-called “Tango” update. There wasn’t a lot to shout about within this update, but it does have a couple of interesting new additions. 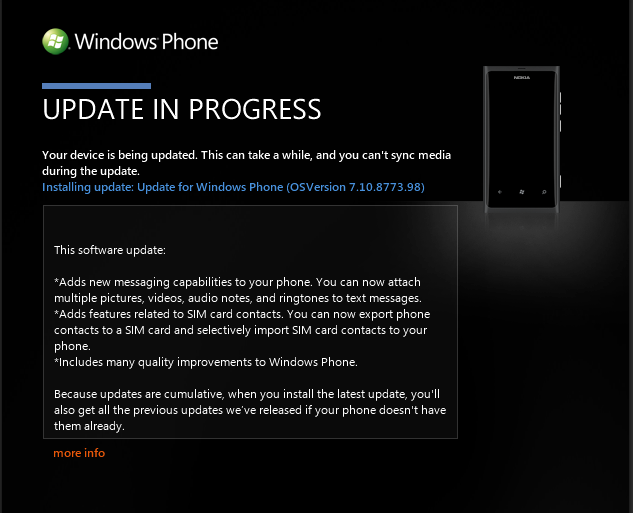 In order to complete the update, there were actually two back to back updates applied to the Windows Phone. In the same way as all of my Windows Phone updates to date, the installation/backup procedure worked perfectly, and the screenshots from the experience can be seen below. On completing this update, I straight away went to the Settings screen to see if the Internet Sharing function was available, however, it still wasn’t! I immediately started googling, and talking to people on Twitter, only to find out that there was actually another update (on top of the two that I had just applied). This final update was a vendor specific update (in my case Nokia), that would enable this feature. At this point, this update wasn’t available, so I still had to wait patiently. For more information about what was included in this update, you can take a look at the Windows Phone update history page.